Photo courtesy of The Pierce County Sheriff's Office This photo shows the partial scale of the marijuana grow operation near Christensen Muck Road. 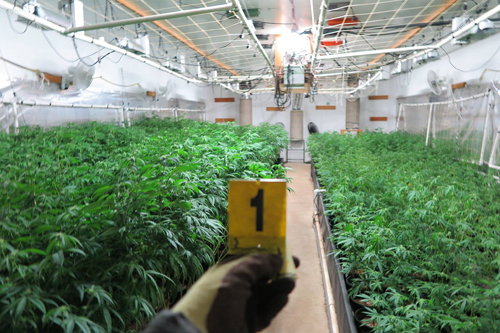 A married couple living near Eatonville have been arrested and booked into the Pierce County Jail for unlawful manufacture of a controlled substance after a deputy discovered their illegal marijuana grow operation. The suspects, both 46 years old, are awaiting trial.